A Maiden Stakes over 1 mile on Standard going. Eleven runners, seven horses with experience and four debutantes, a couple well found in the market. A number of huge priced horses here. Best stick the those fancied in the market unless something catches our eye. David Elsworth is a trainer worth noting his runners making their second start. They often spark into life. Trade Route is an Irish-bred son of Mastercraftsman. This grey colt is owned by Robert Ng. He was a touch weak in the betting returning 14/1 SP. That drift in the betting may have suggested this April foal was in need of the run. Finishing fifth was a creditable effort, especially with showing signs of inexperience over 1 mile. The form of that race is fair and there could well be marked improvement. If drifting to each-way prices worthy of interest. Interesting to see how Excel Again goes. This bay colt is a son of Exceed And Excel was actually purchased by Hugo Palmer for 110,000G but now trained by an equally gifted handler in James Tate. This Newmarket trainer can ready a debutante and if strong in the betting it would bring some hope of a bold performance. Alexander M is trained by Michael Johnston. This once raced son of Mastercraftsman is a homebred who was fancied to go well on debut at Ayr in July. However, a slow start, held up on the outside, and struggling thereafter wasn't expected. Beaten a number of length into last. Not seen for over 200 days, it is worth watching the betting for signs of inability, lack of fitness or sheer astoundment. 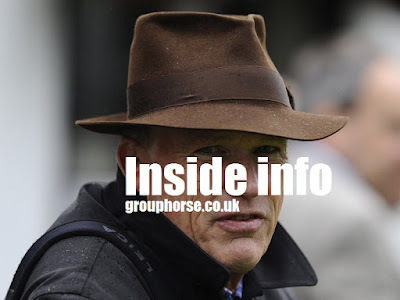 John Gosden has plenty of unraced horses ready to roll. They can be the good, bad and ugly and the best filter comes from assessing their starting price. William Sayle has been made favourite in the early betting. This chestnut colt is a son of Bahamian Bounty out of a winning but limited mare who was trained by Luca Cumani. In the ownership of HRH Princess Haya Of Jordan cost 100,000G when purchased as a two-year-old. Even over 1 mile a wide draw isn't ideal for a horse making its debut. A slow start on a turning course means inexperience can prove costly. Conclusion: A difficult race to assess in ways. Trade Route has valuable race experience after showing promise on debut. Elsworth's second starters are interesting and I'd expect this grey to hit the frame but need each-ways prices to tempt a bet. Difficult to know what to make of Alexander M who is better than seen on debut but how much? James Tate is a superb trainer and Excel Again is worthy of respect. In fact, if strongly backed I would be looking for this colt going well. John Gosden has similarly strong claims from a statistical point of view. William Sayle is likely to be in the better price guide although a wide draw is negative. Best to watch the market before taking the plunge. Trade Route would be a bet if drifting to each-way prices but for that to happen one of these will need to start a short favourite.